Happy last Friday of March! The article Move Over, Barbie: New Run Doll Line Expanding popped up on Facebook this week from another running mama, which led me to Go! Go! Sports Girls. How did I not know about these dolls? AMAZING. I love that Rachel Hollis’ bikini photo is going viral, stretch marks and all. Naturally, I started following her on Instagram this week. I think I’ve mentioned before how much we love the Re-Play plates, bowls, cups, etc. for the kids. How cute is this spring sorbet set? Easter is right around the corner! 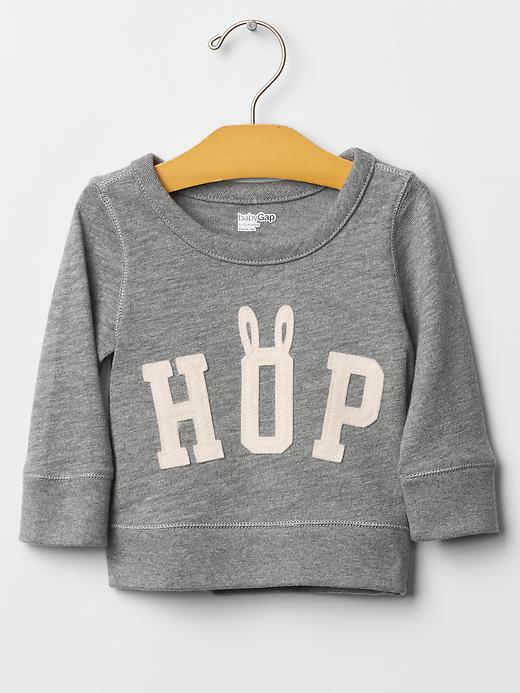 I’ve seen this Bunny Hop Sweatshirt floating around various blog posts this week, but I had to share. Does it get any cuter than this? You’re up! What are you loving this week? Please share and don’t forget to check out what these ladies are loving! I’m slowly catching up on posts so I want to share our nine month favorites! You can catch up on the three and six month favorites. These were recommended to us by a friend when Crosby was starting solids. They are wonderful for sending food and snacks to school. 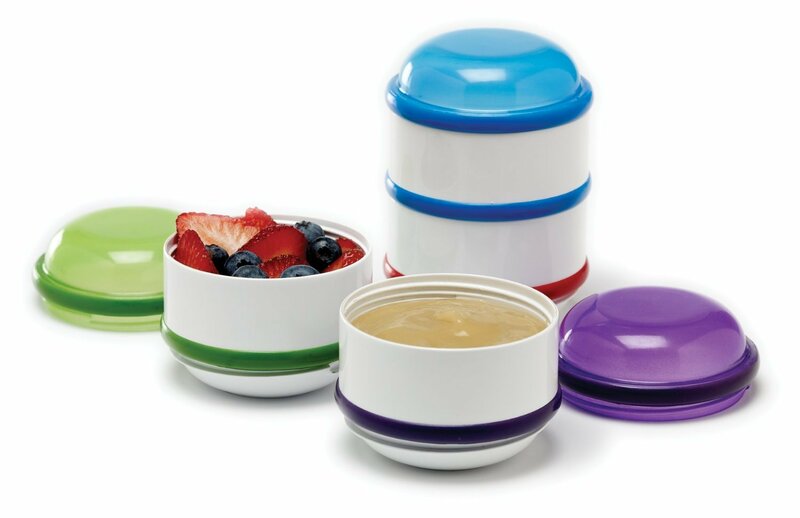 The cups can be used individually since each color has its own lid, or you can send them together stacked. We also love them for travel and airplane rides! They are perfect for offering a variety of snack options. We also use the OXO Tot Bowl Set to send food to school and we love these bowls. I found several of them at TJ Maxx when Kenley was little but not so much recently. You can also get them at Buy Buy Baby with a coupon. The workbench, as well as the kitchen , is a great interactive learning toy that is good for all ages. It’s small so it can go from room to room, and has different settings for learning. 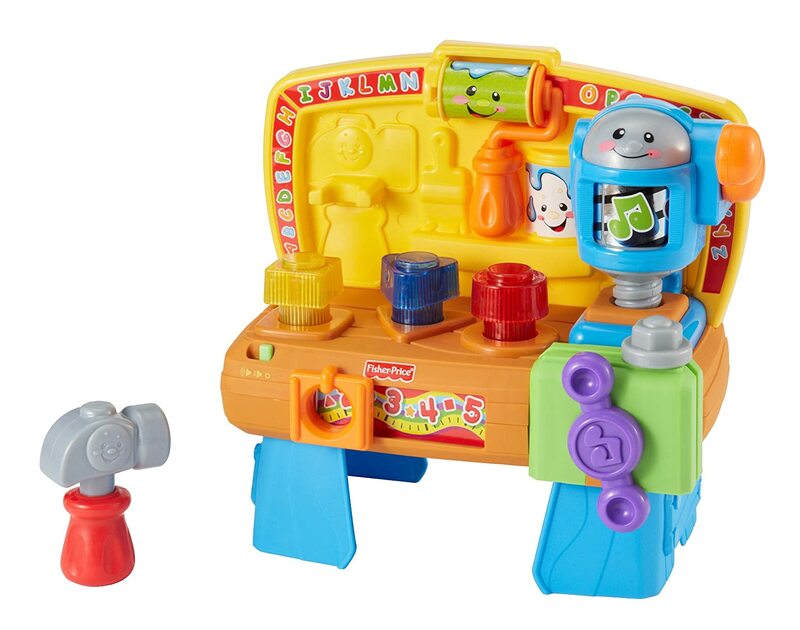 However, it is not sturdy, so when he was starting to pull himself up on things, he took a lot of spills on the workbench and the kitchen because they toppled right over with them. Regardless, these two toys get played with a lot in our household. Crosby loves books. He is all about them at school and at home. Some of our early favorites include most of the Sandra Boynton books, including The Going to Bed Book and Moo Baa La La La. We also recently started collecting the Good Night series books. This is one of the many push toys we have at the house and both kids love it. It was great for Crosby to push around when he wasn’t walking yet, but wanted to get from place to place. 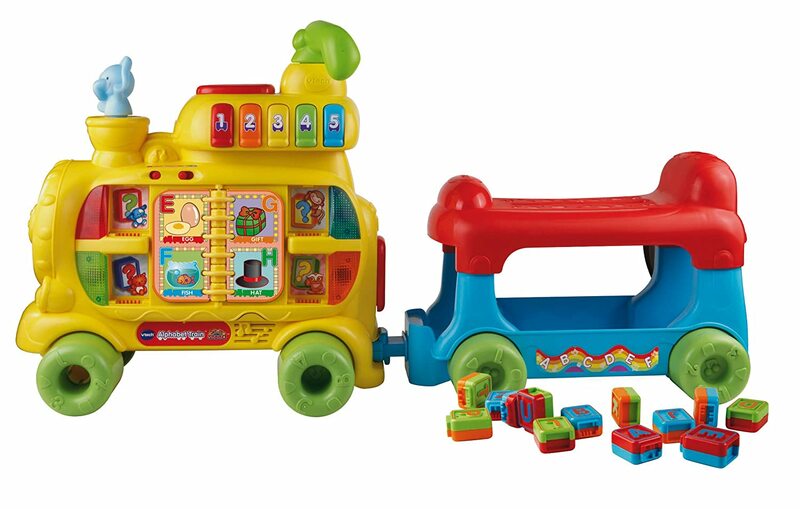 He also loved to put the alphabet blocks into the train and have them shoot out the back. It was fun for Greg and I to watch his hand/eye coordination develop. Another good thing about the train is that it is educational! Win/win for everyone. We didn’t have a bottle warmer when Kenley was a baby, but I saw this bottle warmer at TJ Maxx for $17 and I couldn’t pass it up. 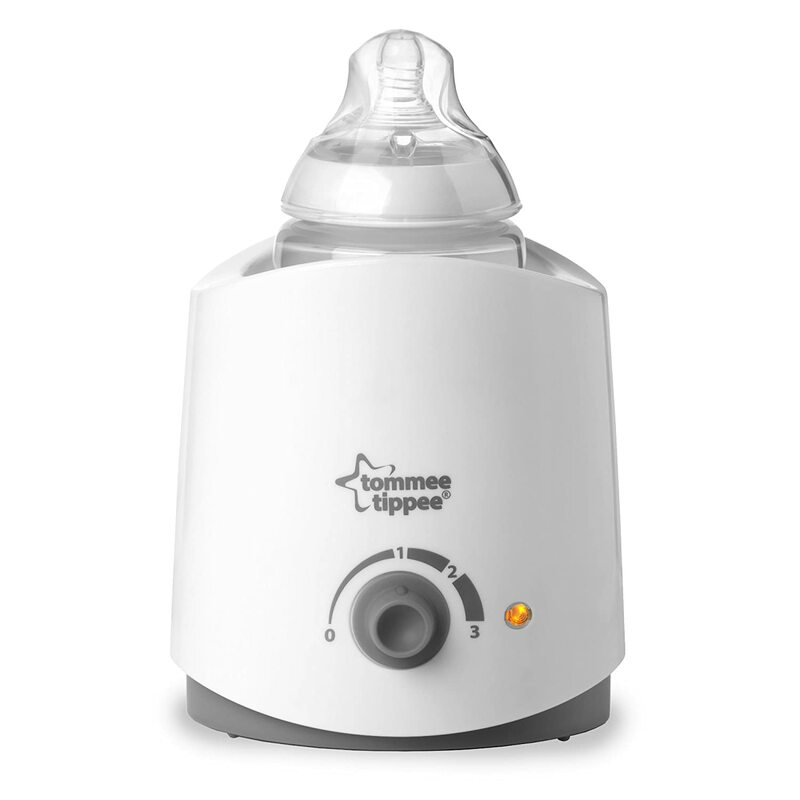 I had hoped I would be breastfeeding, so I figured that Crosby wouldn’t be having many bottles at home, but when he did the bottle warmer was great! Around ten and a half months, Crosby decided he was done breastfeeding and he took a bottle morning, noon, and night. This bottle warmer was clutch! We used it every day until we transitioned fully to the sippy cup. What are some of your favorites at the nine month mark?